Upper: No sew, seamless upper offers a comfortable fit. TPU toe cap designed to deter wear and tear associated with excess dragging. Midsole: Forefoot boost foam component provides cushioning and energy return. 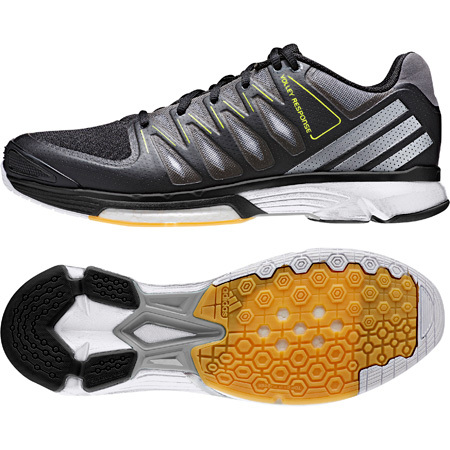 Torsion System provides midfoot integrity and motion balance for supportive, efficient lateral movement. Outsole: Top Grip Rubber. Abrasion resistant outsole material to deter wear and tear.